COMMERCIAL BAY ON A HIGH TRAFFIC ROUTE. Well maintained 4970 sq ft bay with a 16 foot grade door. The main floor is 3208 sq ft and the upper level is 1762 sq ft. The zoning is IB. 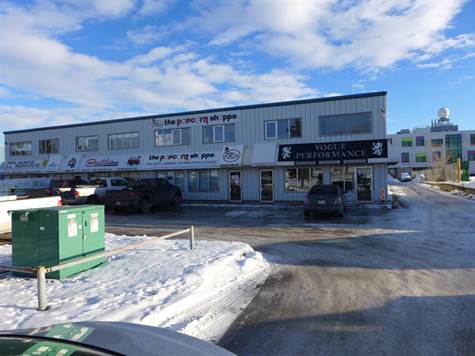 The lower level is retail and the upper level demised in to 4 offices and reception. There are many options for the bay.